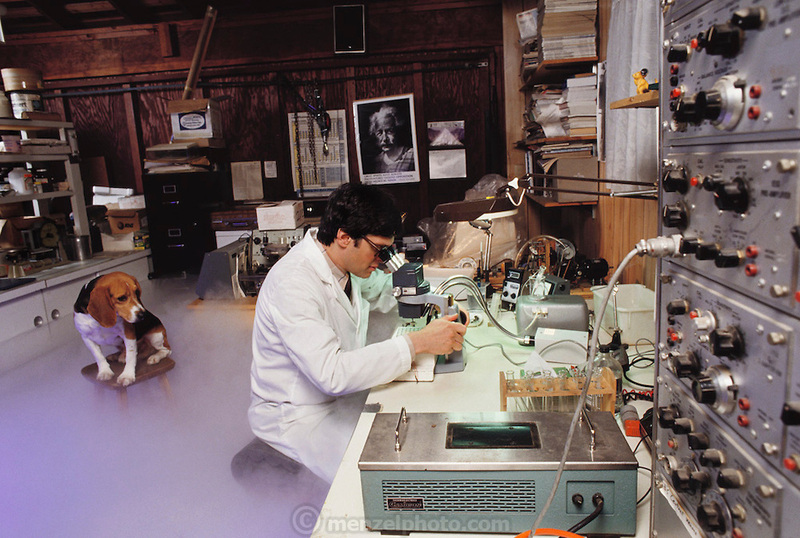 Experimental cryonics: Paul Segall in his garage laboratory in Berkeley, California, with Miles, a beagle. Segall replaced Miles' blood with a substitute before cooling him to 37.4 degrees & disconnecting a heart lung machine. After 15 minutes, during which Miles' pulse, breathing & circulation had ceased, the dog was warmed, its blood returned & Miles was restored to health. MODEL RELEASED 1987..